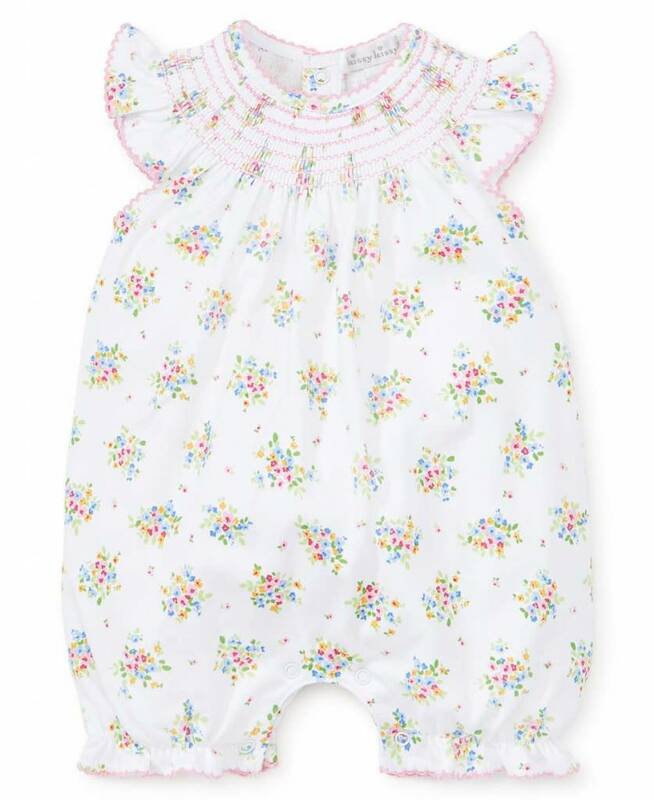 Beautiful blooms adorn this precious playsuit for your baby girl, made from the softest Pima cotton for ultimate comfort. 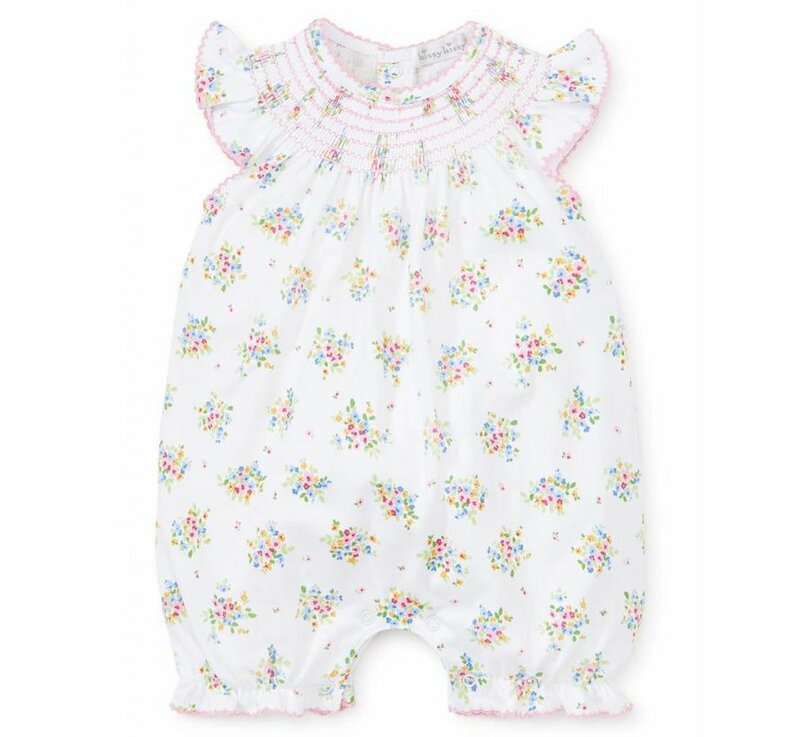 Kissy Kissy credits their incredible softness to their special Peruvian Pima Cotton. 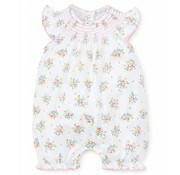 The longer fiber length results in a more durable fabric that gives off a slight luster and produces a luxurious texture.